"I searched for ages for a hair piece for my wedding, trying lots of accessories but after trying on my Hermione Harbutt head piece I knew I had found the perfect one. It was comfortable, light on my head, easy to wear and hands down the best head piece around. 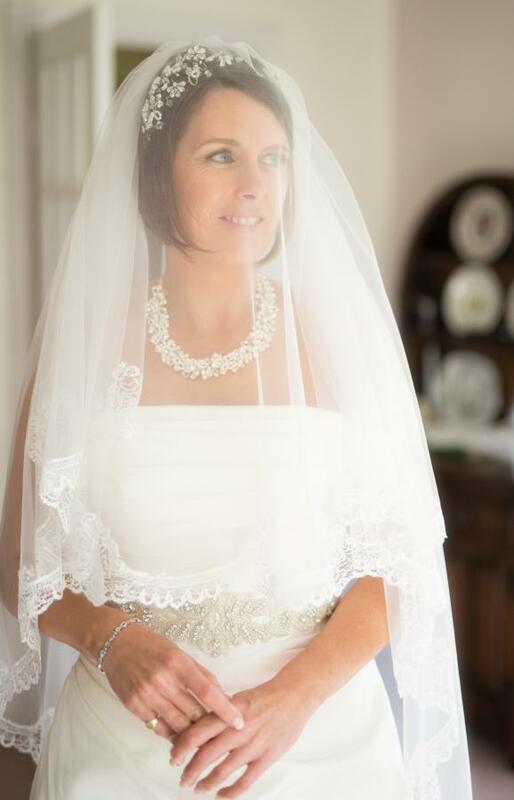 On the day the head piece along with the necklace looked fabulous and I felt amazing wearing them." Gemma we could not thank you enough for your lovely comments! Gemma chose Paris Vine Headdress for her very special day! Wedding Photography by Lemon House.